Did You Lock Yourself Out? When you need spare smart keys, transponder keys, key fobs, or remotes, rely on Able Smart Key & Lock to have the right product at the right price. You can get flip keys, motorcycle keys, and you can even have your broken keys repaired. We have decades of experience in automotive locksmith services In Sacramento, CA. So call us even when you have an "all keys lost" situation. Our mobile locksmith services will provide you with several options to get new keys for your late-model car or truck. 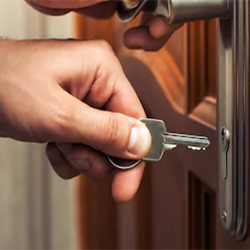 Our team also offers professional, cost-effective commercial locksmith services, and our knowledgeable staff has extensive experience in sales and service. 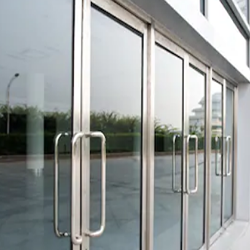 We provide all types of commercial and industrial security hardware, including but not limited to: exit devices, ADA-compliant hardware (compliant with the Americans with Disabilities Act), door operators, door closers, and storefront doors and hardware. At Able Smart Key & Lock, we help keep your home safe as well. You and your family can sleep soundly after taking advantage of our trusted residential lock and key solutions. We are skilled, and we know what it takes to keep your doors secure and your lock hardware functioning properly. You can even purchase a safe to protect your valuables. No matter what type of lock you need a key for, count on us to provide expert locksmith services throughout Sacramento, CA. Whether you need spare keys for your fleet of commercial vans, a new electronic keypad for your business location, or a new house or car key, we have the tools and experience necessary to get you back up and running in no time. Protect your home or business from vandalism or burglary by making sure your locks are always in good condition and that all your keys are accounted for. In the event that a key is stolen or missing, allow us to provide a new lock. DON’T GET CAUGHT WITHOUT A SPARE KEY! Imagine going grocery shopping late at night on your way home from work, only to return to your car in the parking lot and discovering that your keys are locked inside. When you’re stuck in the dark without your car keys, get in touch with us for emergency car lockout help. We’ll get to your location quickly, at any time of day or night, and help you get into your car. 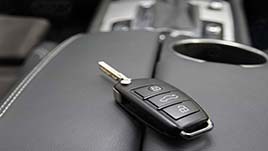 If you’ve lost your car keys, we also specialize in duplicating all types of car keys including smart keys for Nissan, Infinity, Toyota, Lexus, Dodge, Chrysler, Ford, and Mazda vehicles of various makes and models. Contact us when you need emergency locksmith services. 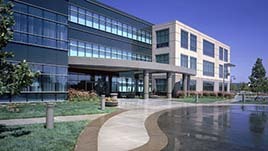 We proudly serve clients throughout the Sacramento, California, area. 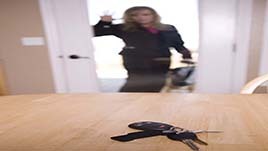 Did you lose your house keys or locked out of your home call Able Smart Key & Lock at 916-391-1744. 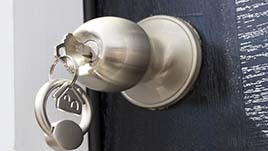 You can count on fast reliable residential locksmith service with Able Smart Key & Lock. For a commercial Locksmith in your area give Able Smart Key & Lock a call at 916-391-1744. We take pride on the services we provide in the local area.